We slept in, then rushed to Incinerator Rock beach so Dan could hit up the surf. Our conversation was rather serious on the drive this morning, and we found ourselves stressing about our van. Westfalia vans, while they are old, creaky, and unreliable, are disproportionally expensive. 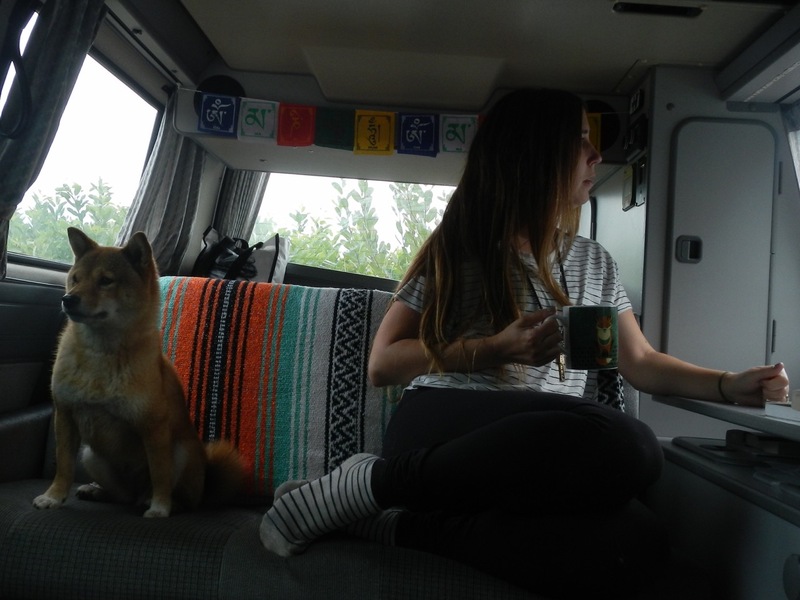 We invested a fair amount of money into Hobo-the-van, and we’ve dished out more on upgrades. Our plan is to get our money back when we sell her, but there’s no guarantee. What if she breaks down in a big way? Needs a new engine? What if this upcoming rainy winter reveals more rust spots? The value of the van is so variable. Sure, we’re saving a lot of money by living in a van instead of an overpriced condo or apartment, but there’s a gamble to this lifestyle. It’s kind of ironic, really. 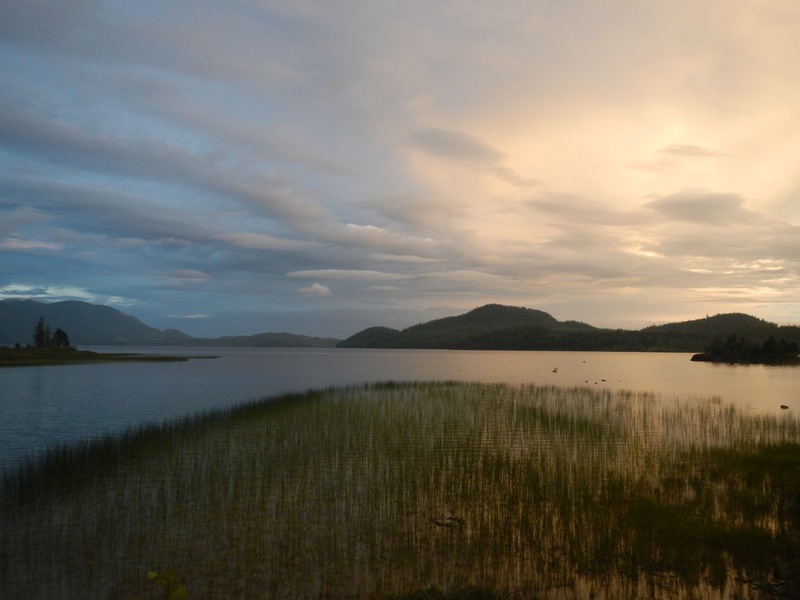 Here we are, living a lifestyle that focuses less on things and cultural comforts, and more on experiences and connections. But we own a particular “thing” that could drastically decrease in value. The pressure is still there. 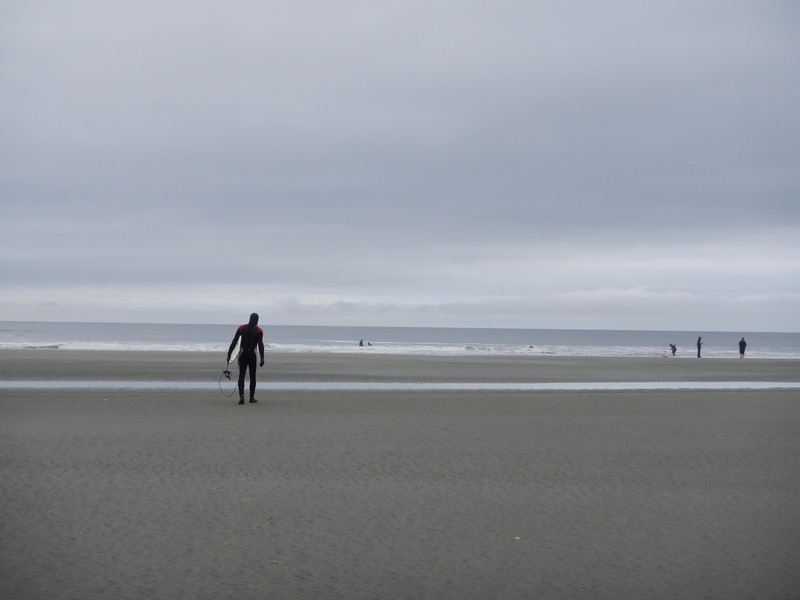 Tofino is a magical place…a place that puts me at ease and generally washes my worries away…but that dang stress! Enough with you already!! So I relax. I read a good book. I peer out my van window and watch two spectacular hoopers on the beach. I see my man in the distance, riding waves. “Life is good T,” he whispers into my ear later on in our favourite coffee shop in town. Loving all the posts you’re writing these days. Thanks for sharing your life with us.